Jim is an USAF veteran and graduate of Lubbock Christian University where he earned his undergraduate degree in 1991 and Masters of Education in 2003. He and his wife Stephanie met at Lubbock Christian University and were married in 1989. They have two grown children, Brittany and Zach. Brittany graduated from Lubbock Christian Universtiy with a degree in education and their son Zach graduated from LCU with a degree in Business and Economics. 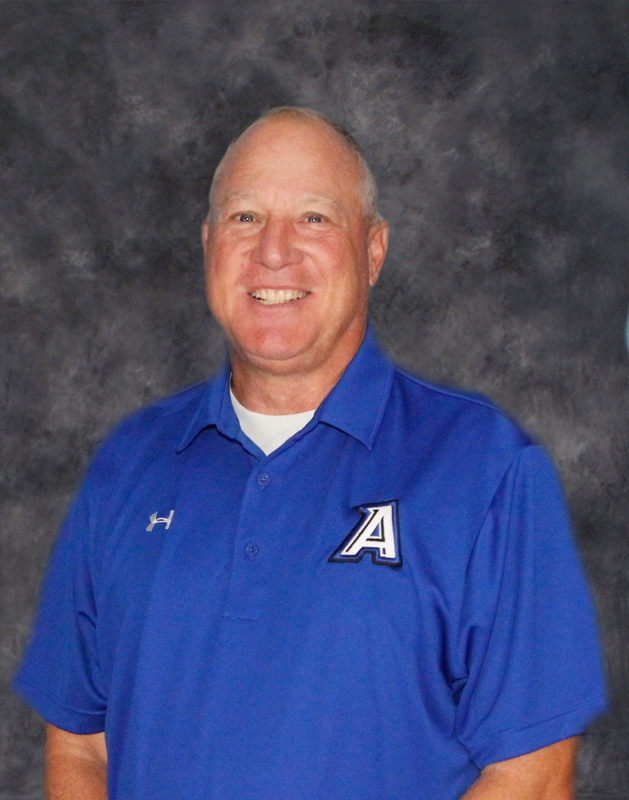 Jim's teaching and coaching career began at Lubbock Christian School where he taught Bible and MS math and was part of an 11-man state championship staff in the early 2000s. Jim has been a 6-man head coach for over a decade. When asked about his proudest accomplishments, Jim immediately shared that as a head coach, approximately 80% of his football players have been academic all-state selections. The ACS athletic program is committed to glorifying God by pursuing excellence in all team sports by the shaping of our student-athlete’s character through the teaching and application of humility, integrity, discipline, hard work, commitment, obedience, and a healthy competitive spirit. Extra-curricular athletic activities provide an opportunity for students to devolop valuable moral character and leadership skills that will benefit them the rest of their lives.